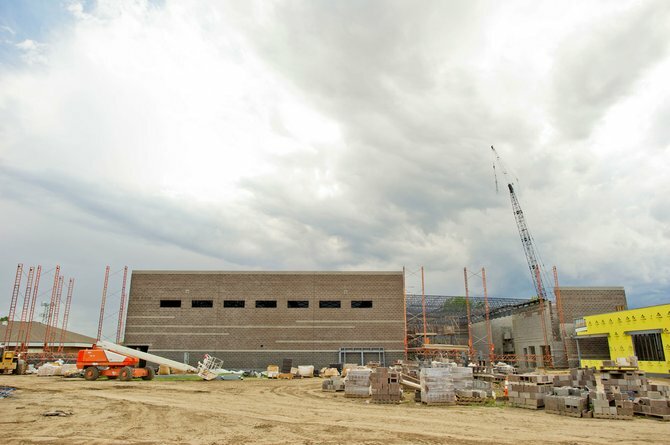 A high school in the state of Washington, College Place High School, has recently been confirmed to be built in completion as of December 2015. CPHS is a magnet school and therefore has the luxury of teaching state curriculum and personal adapted courses for its students. Likewise, CPHS will center its curriculum around business and entrepreneurial learning for high school students who attend. We at P.O.S. like to hear stories like these because it shows the like-minded notions we wish to implement from our site. A high school student who is exposed to various forms of business, especially entrepreneurship, will now possibly have the passion to create and excel from a platform he/she created. Who knows, maybe this kid could have an idea that revolutionizes the world? Who knows, maybe this kid will absolutely hate the idea of entrepreneurship? However, at least the situation of entrepreneurship was presented before themselves to give he/she a better understanding of what one may be passionate about before entering college. The business mall concept offers national and regional businesses the opportunity to lease prime real-estate with a large availability of possible employees. Businesses would provide training, mentoring and teaching throughout the year, and students would have the chance to become familiar with workplaces and company cultures. Depending on the businesses chosen, the mall could potentially hold three to four stores. Figgins said that, to her knowledge, a CPHS business mall would be the first of its kind in high schools nationwide. Students would not be guaranteed positions within the business mall. Stores would run per usual, and student would have to apply and interview with managers as they normally would. “The intent is that they are owned and operated by people outside the school,” said Kirk Jameson, principal of the new high school. “If our kids can be involved with (a store), that would be great … By the time they’re seniors they might be assisting in some manner; it just depends on where their skill levels are.” Students could work for academic credit, for pay, or a combination. While Figgins hasn’t named specifics, the mall could include food, logistics and financial service businesses. And businesses could benefit from employing the school’s students. “That business may need some innovation, and they may contract our kids to brainstorm that innovation,” College Place Public Schools Superintendent Tim Payne said. Plans for the mall focus on giving students educational experiences outside of the classroom. Payne and Jameson said the experiences can help students maintain greater continuity between their classes and lives out of school, and give them skills beyond an academic environment. “Through the relevance and the authenticity you get real common-sense cause and effect,” Payne said. In the face of high student debt and unused degrees, Jameson hopes the experiential learning in opportunities like the business mall also will help high schoolers better understand what it is they want to do when they graduate. Although as a magnet school CPHS will focus on business and entrepreneurship, its administrators believe an emphasis on innovation enhances all areas of education, not just a marketing or business class.